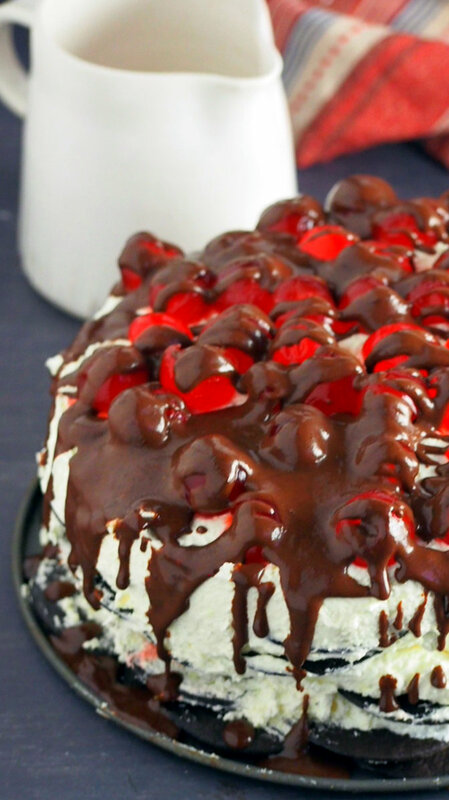 Enjoy a classic cake in icebox form, this no-bake Black Forest Icebox Cake will rival the real thing without lacking in flavor and chocolatey goodness. 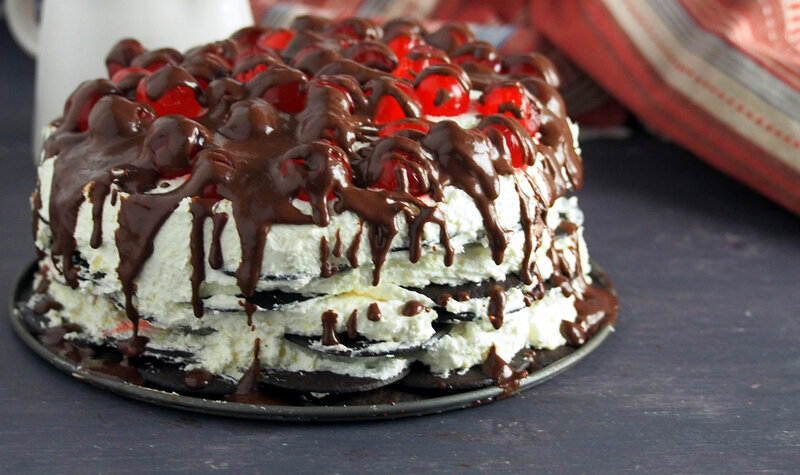 Today, we put the oven for a short rest and make this no-bake Black Forest Icebox Cake. Let us forget exact method, precise measurements for a while. Today we loosen up. 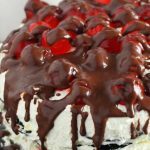 I got hooked to making icebox cake after the Banana Split Icebox Cake a few weeks back. With the ease of preparation and the fun I had while assembling, I made peace with not having to use the oven for every dessert item in the house. Sometimes, all you need is some assembling, like a version of building blocks for kids, only mine is made of wafers and cream. 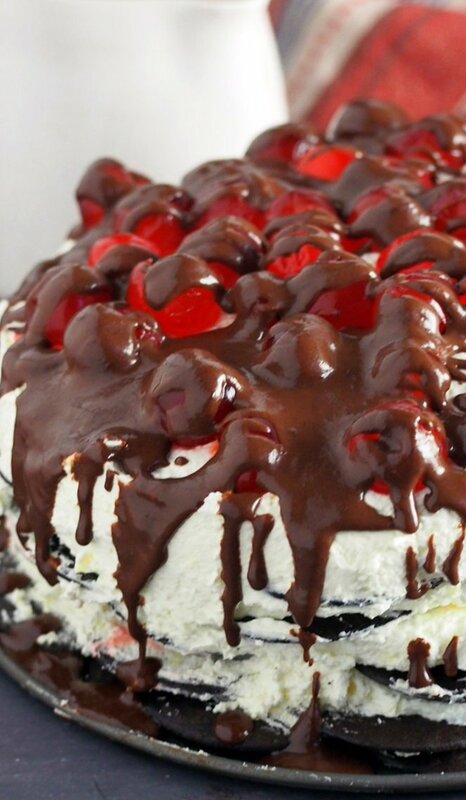 Black Forest Icebox Cake is nothing more than a mixture of cream, some cherries from a jar and loads of chocolate wafers. 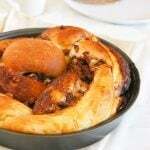 Grace it up with chocolate drippings on top and you have a nice, elegant piece of dessert that is pretty and delicious. Lay out your first layer. 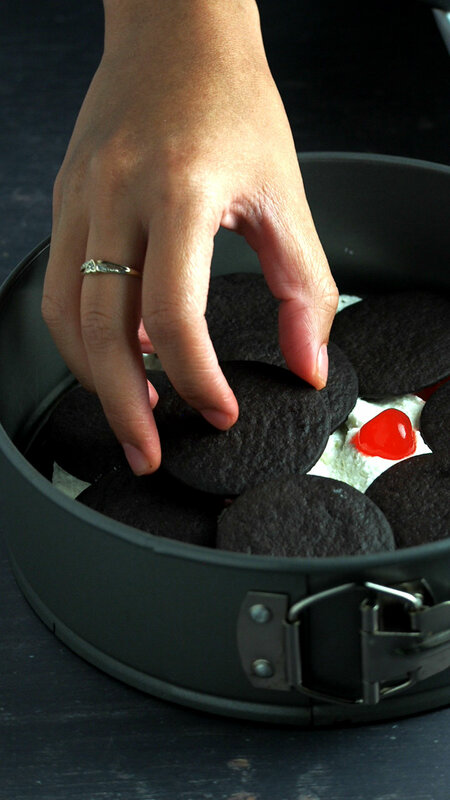 Arrange the chocolate wafer cookies on the base of an 8-inch spring-form pan. There is no exact way to do this. You can overlap some of the pieces to ensure that most of the surface is covered. Again, just lay them out and play. I used two 200 gram packages of Mr. Christies Chocolate Wafer Cookies, you can use whatever brand of chocolate wafers is available to you. I ended up with some leftover cookies from the second package. Pipe 1/4 of the cream mixture over the cookies. 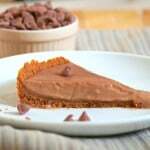 Spread it out evenly using an angled spatula. Arrange a few cherries over the cream. Not too much or the layers will be uneven. 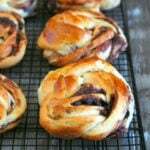 Plus you still need to top the cake with cherries later. Arrange the second layer of the wafer cookies and repeat the process until you have 4 layers in total. 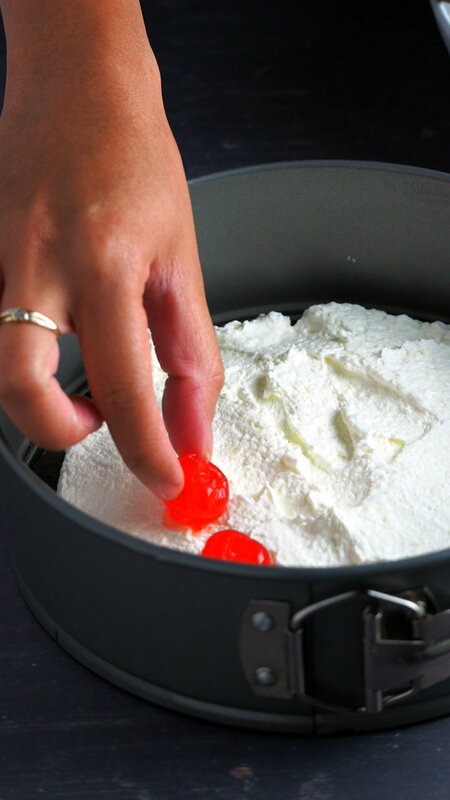 Cover the top with the remaining cream and top with the cherries. 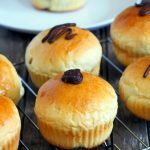 Make the chocolate ganache by heating up the cream in the microwave until it just starts to bubble, pour the hot cream over the chocolate chips and stir until smooth. Drizzle this over the cake. Refrigerate the cake for at least 8 hours to soften the cookies. And here you have it. A cake, born not out of precision and strict guidelines but delightfully good. Something that allows you to stack away and play. We all need the time to loosen up sometimes, don’t we? Now sit back and have a slice. Life is beautiful. In a large mixing bowl, combine whipped topping, sour cream and instant vanilla pudding mix. Transfer the mixture to a large piping bag. 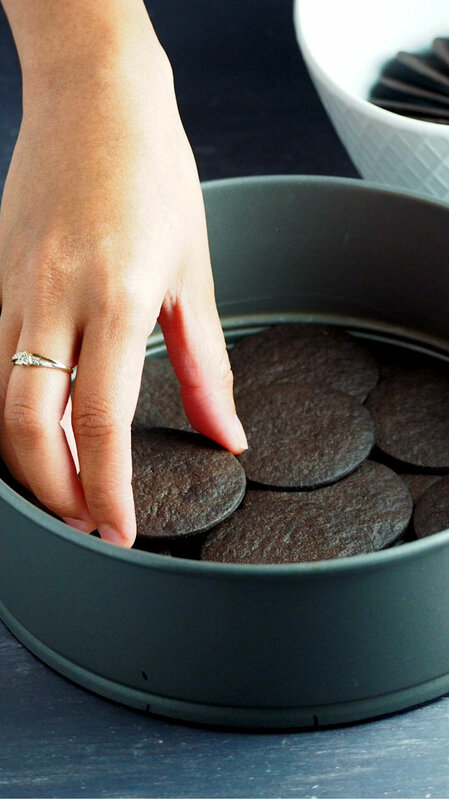 Lay out the first layer of the cake by arranging chocolate wafers in the base of an 8-inch springform pan. It is fine to have some of the cookies overlap to ensure that most of the surface of the pan is covered. Pipe 1/4 of the cream over the crackers and spread it out using an angled spatula. Top with a few cherries and cover with the second layer of chocolate wafer cookies. Repeat the layering process until you have four layers in total. 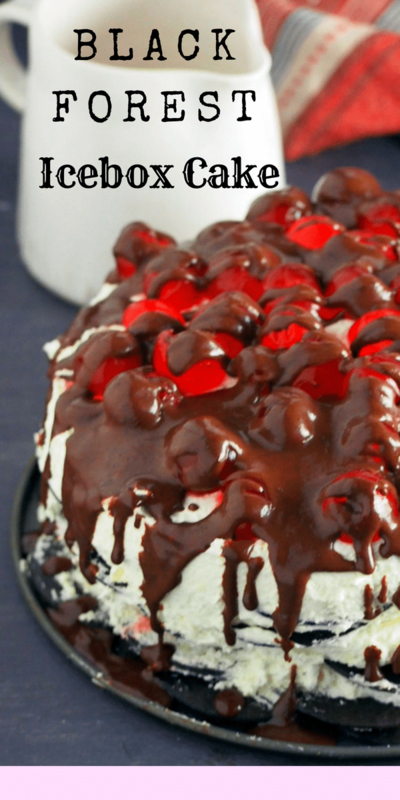 Top with the remaining cream and arrange cherries on top. Make the chocolate ganache: Place the chocolate chips in a bowl. In a microwave-safe bowl, heat the heavy cream in the microwave until bubbly. Pour over the chocolate chips and stir until smooth. Drizzle on top of the cake. Refrigerate cake for at least 8 hours. 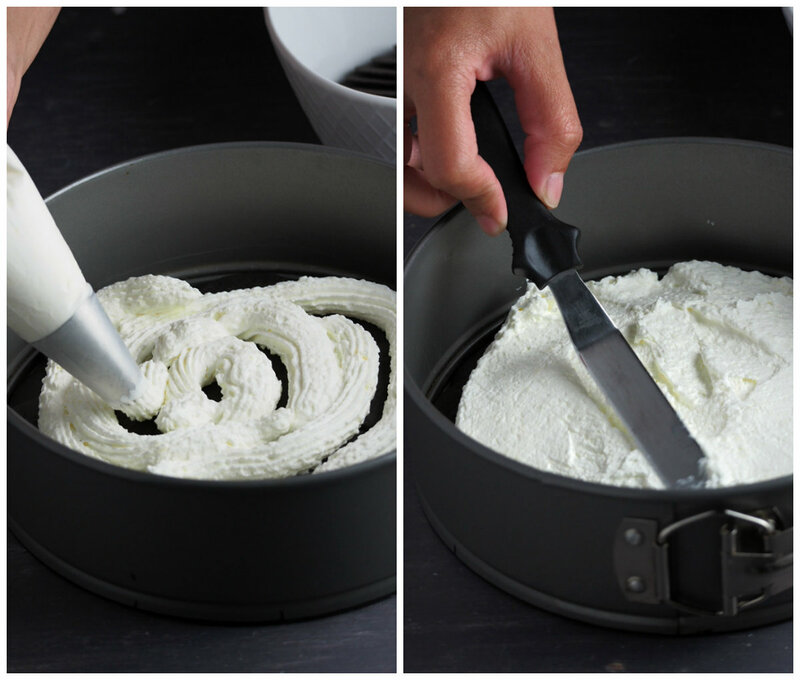 Remove the ring of the springform pan and serve. Not all of the chocolate wafers will be used up. Post contains affiliate links. See disclosure page to learn more.